The adage holds that a picture is worth a thousand words, and I was reminded of that this month when I was fortunate to attend a luncheon talk by renowned Pulitzer Prize-winning photojournalist Liu Heung Shing. Liu first went to China as a photographer in 1976 and was there, working for the Associated Press for some of the most pivotal events of recent history, in China as well as the former Soviet Union. He spoke about how some photographs become indelibly etched in our minds. “These images help us build a collective memory of a story, through an iconic image,” Liu said. For many, the Vietnam War is perhaps best captured by the image of the small girl running, her clothes shed, after a napalm bombing attack on her village. Or the image of the South Vietnamese police chief pressing his pistol to the temple of a captured Viet Cong suspect and pulling the trigger. The catastrophe of Syria’s civil war was captured in the photo of a five-year-old Syrian boy sitting dishevelled and disoriented on an orange ambulance seat after the bombing of Aleppo. Here in Hong Kong, the 2014 “Umbrella Movement”, which will mark its fifth anniversary this September, produced several iconic images of young protesters wielding yellow umbrellas to fend off police pepper spray in the streets around Central and Admiralty. And speaking of anniversaries, this year will mark 30 years since the tragic events of Tiananmen Square in Beijing, which for many will be forever associated with the image of “Tank Man”, the brave protester who stood defiantly in front of a row of advancing tanks on Chang’An Avenue. The Tank Man image, like much of the story of what happened from April to June 4, 1989, has been subjected to heavy censorship in China in an attempt to erase the episode from the collective memory. Those attempts at erasure, and the concerted effort by journalists, scholars and others outside China to keep the memory of June 4 alive, will be the theme of a JMSC seminar to be held on April 15. I have covered a lot of historic events, and written untold thousands of words—on the Somali famine, the Rwandan genocide, the Hong Kong handover to China, the fall of the Suharto regime in Indonesia, the fall of the Taliban regime in Kabul, and the American invasion of Iraq. But few of those words are as embedded in the collective consciousness as powerfully as a handful of potent images. With digital cameras now ubiquitous, we are experiencing an historic proliferation of images. There are now 100 million photos and videos posted to Instagram every day, and 136,000 new photos uploaded to Facebook every 60 seconds, according to one source. We now take pictures of all the food we eat, every drink, every silly pet trick. Historic events these days are as likely to be captured by a tourist with a mobile phone as by a professional photographer. Just as we now have to be on the lookout for fake news, technology also makes it easier than ever to alter images. So we need to be vigilant. But I believe images still hold the power to raise awareness, shape the public consciousness and sway opinion in a way words rarely can. And iconic images remain as relevant as the time Liu Heung Shing was shooting photos in post-Mao China. So next time you are consuming your daily news, or perusing a weekly magazine, take a moment and really savour a truly good photograph. It will likely linger with you long after the words are forgotten—and may tell you more about what is happening than the story itself. JMSC has joined forces with 10 universities and civil society organisations from around the world as a founding partner of the Freedom of Expression Without Frontiersportal. The digital teaching platform, grown out of meetings at Columbia University, was launched on 29 March and is targeted at educators, students, journalists, legal practitioners, and those with interest in engaging with and understanding free speech issues. JMSC will contribute pedagogical resources covering Hong Kong and the region to promote the adoption of a global dialogue and approach to the teaching of free expression. 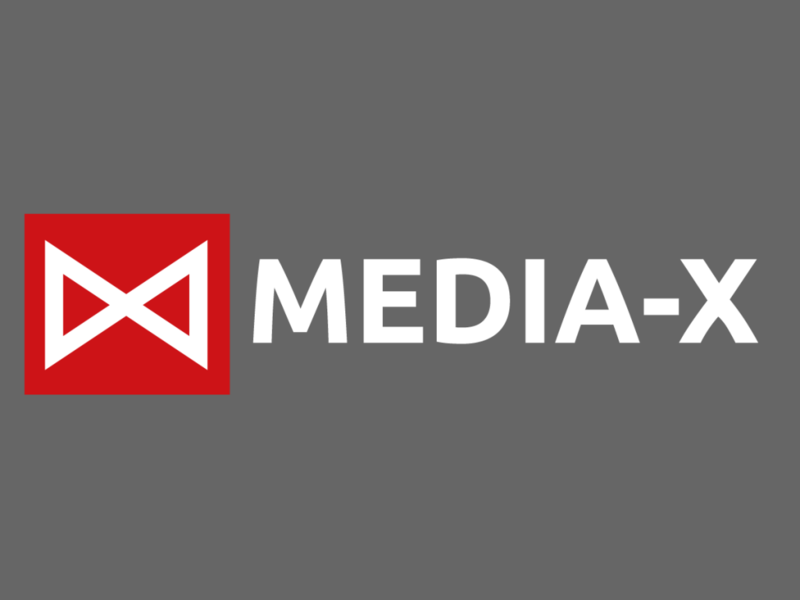 The inaugural Media-X programmeis officially open for applications. Media-X supports people and ideas that can benefit society in any capacity, by offering Prototype Grants to early-stage media entrepreneurs in Asia who have little more than a great idea. The program will provide suitable funding towards the creation of a prototype of any socially driven media idea, as well as access to mentors over a period of a year. The aim is to create pathways to early stage prototypes. Find out more here. JMSC lecturers and alumni were part of the great line-up at this year’s FCC Journalism Conference that was held on 23 March. Thomas Abraham, Cliff Buddle, Zela Chin, Diana Jou, Richard Macauley, Keith Richburg,Kevin Sites, Aleksander Solum, Jarrod Wyatt and Eric Wishart took part as panelists and moderators. The theme this year was “Enemy of the People? The Dangers of Being a Journalist in 2019″. Videos of some of the panel discussions can be viewed on the FCC website. 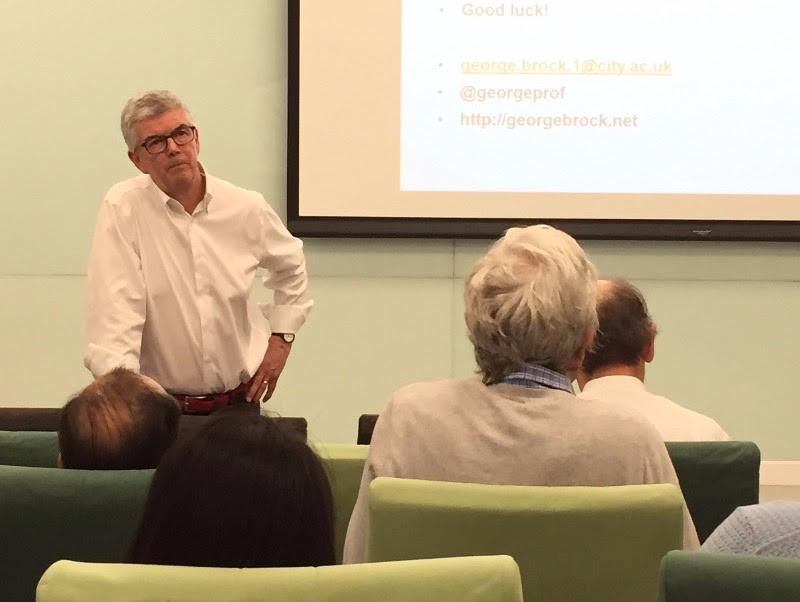 George Brock, external examiner for the curriculum review of our Bachelor of Journalism programme, gave a lecture on 13 March during his visit to JMSC. Notes from “Journalism, disinformation and Facebook: How to survive an earthquake” can be found here. 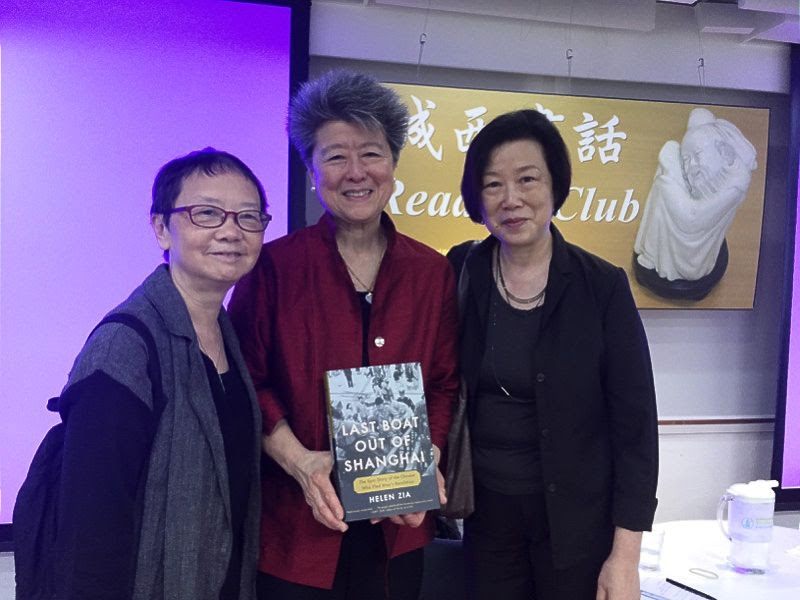 Journalist and activist Helen Zia was at the HKU Main Library on 28 March to talk about her book Last Boat Out of Shanghai: The epic story of the Chinese who fled Mao’s Revolution. JMSC Visiting Associate Professor Nancy Tong moderated. Zia wrote about the real-life stories of four young people caught up in the mass exodus of Shanghai in the wake of China’s 1949 Communist revolution. 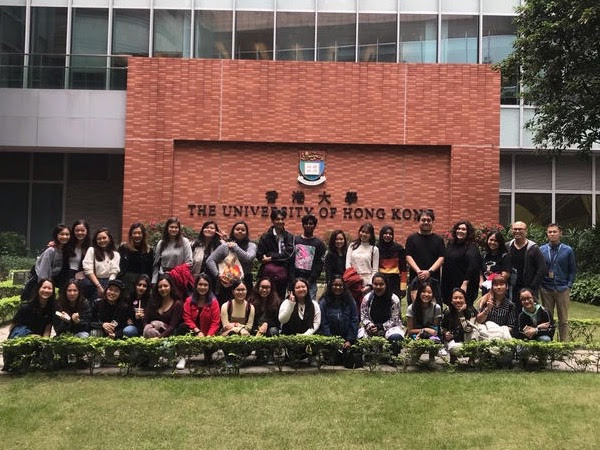 We hosted students from Singapore’s Ngee Ann Polytechnic on 25 March, giving them a tour of the campus and our facilites at Eliot Hall and introducing them to JMSC. 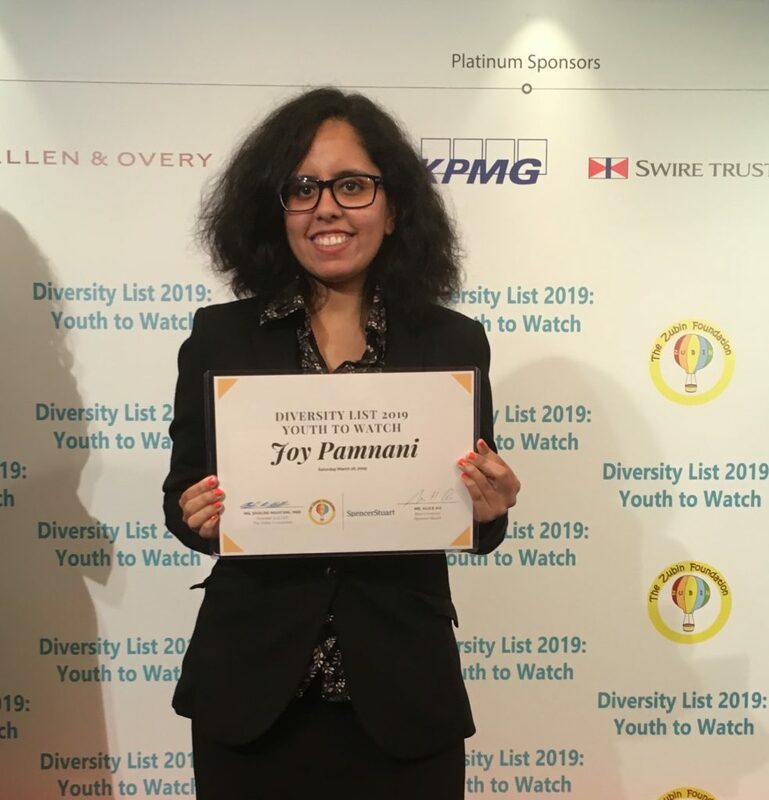 Joy Pamnani, a third-year Bachelor of Journalism student, was named to the Diversity List 2019: Youth to Watch. Launched in 2016 by theZubin Foundation, the list names a group of talented Hong Kong ethnic minority youth each year who are put forward for the Hong Kong government to consider for appointment to advisory committees and sub-committees. 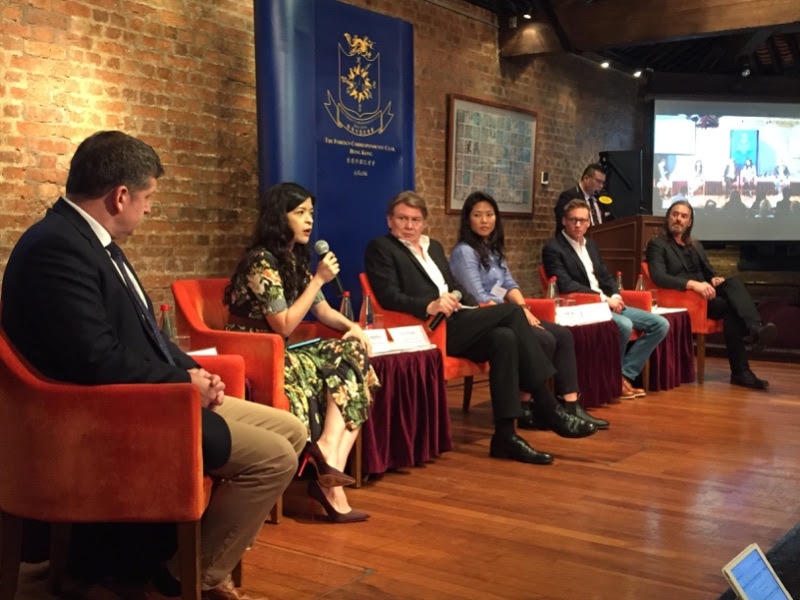 Hong Kong Free Press, co-founded by JMSC Master of Journalism alumnus Tom Grundy, was one of 20 winners of the Google News Initiative (GNI) Asia Pacific Innovation Challenge. The challenge is aimed at strengthening CNI’s support of digital innovation and new business models in news organizations across the APAC region. Carol P. Lai, Adjunct Associate Professor at JMSC, is the editor of the recently published photo book,Secret 香港枢密 1842-1997, by photojournalist Kan Tai Wong. 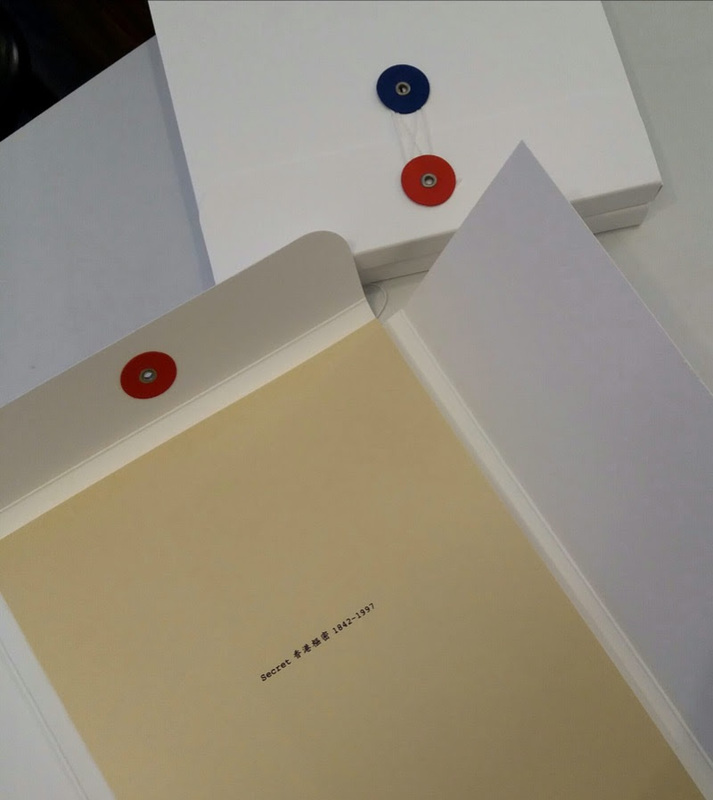 The book, a limited edition of 200 copies, is a collection of 114 photo images of Hong Kong declassified memos at Britain’s National Archives. Read about it here. 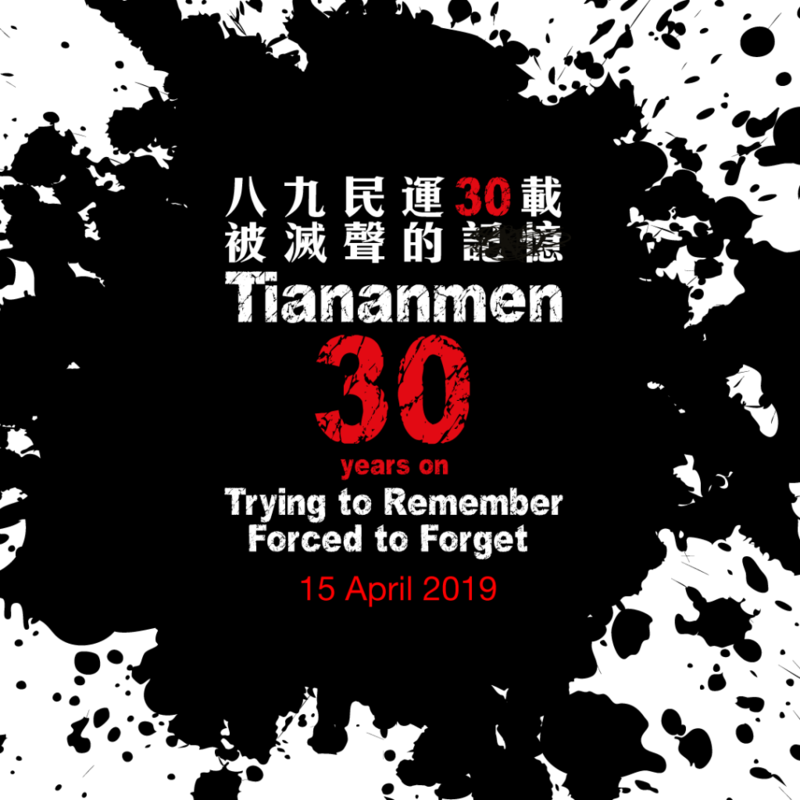 We are marking the 30th anniversary of Tiananmen with a panel discussion on 15 April. Journalists and scholars will share their findings about the Chinese government’s attempts to erase the Tiananmen Square crackdown from history, and how the events of that tragic day are reflected in collective memory, on social media, and in the reporting of the journalists who cover China today. Details here. Next in our JMSC author talk series is Philip Bowring. 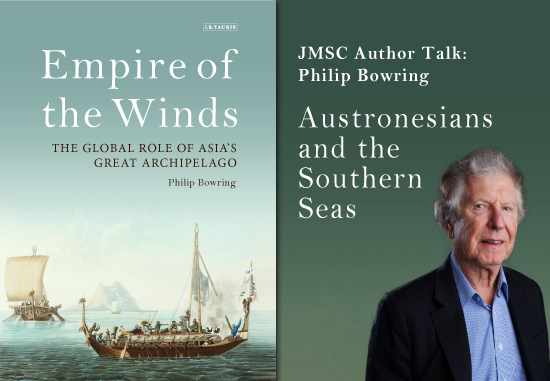 The speaker will share insights from his new book, Empire of the Winds: The Global Role of Asia’s Great Archipelago, which looks at two thousand plus years in the history of the now 400 million non-Chinese people who occupy most of the coasts of the South China, Java and Sulu seas. Details here.